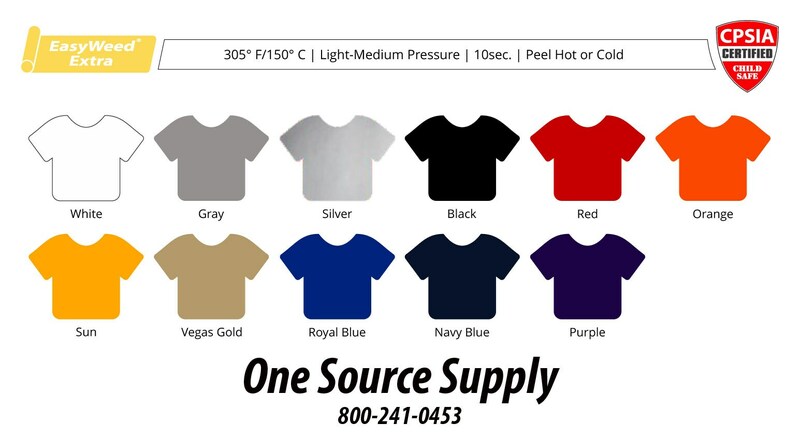 This listing is for 5 sheets 12" x 15" sheet of Siser EasyWeed EXTRA Heat Transfer Vinyl. Leave a message with your color choices in the Notes from Buyer section when checking out! The EasyWeed EXTRA advantage! Lower temperature, HOT or COLD peel, no lifting, durability wash after wash, and lower pressure. It’s thinner than the competitors’ material and offers a one-step application that’s great for multiple layers. Comes on a pressure-sensitive carrier. 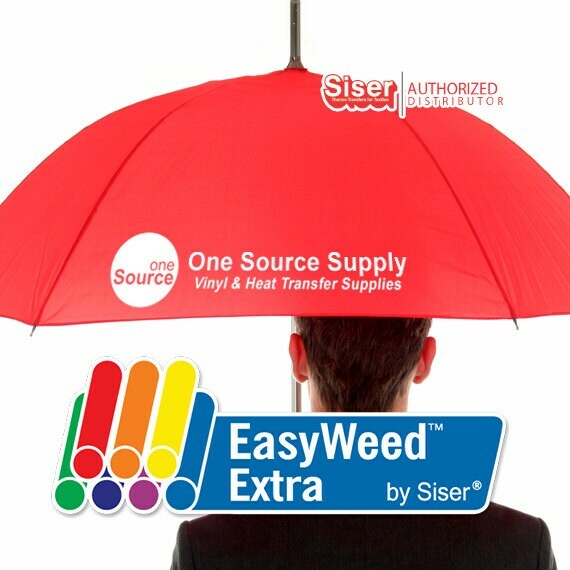 EasyWeed EXTRA will adhere to 100% Uncoated Polyester, Cotton/Polyester Blends, Lightly silicone nylon and leather. Comes in 16 colors!! Wait 24 hours before first wash.
Machine wash warm with mild detergent. 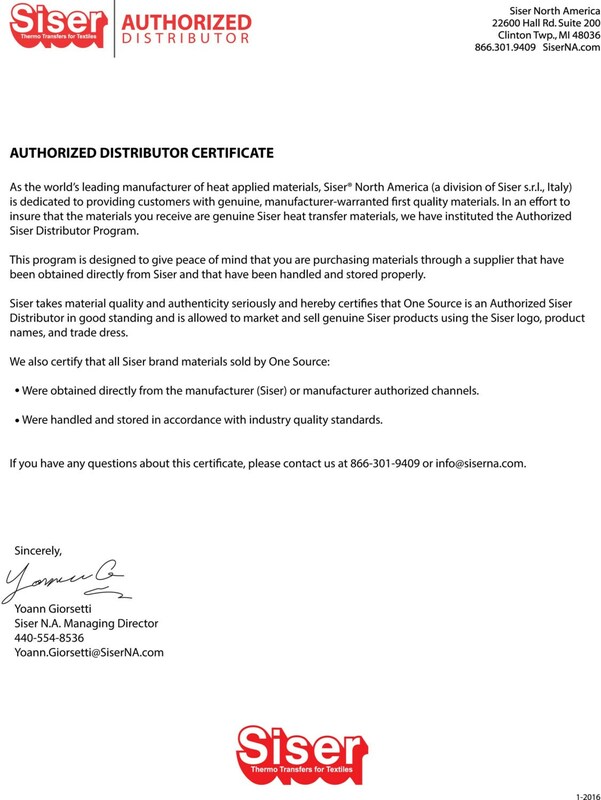 Due to variances in the manufacturing process of fabrics, Siser highly recommends testing prior to production.